It was back in 2012 when Richie, Rain, and I were invited to witness Marriott Hotel's Christmas Tree lighting ceremony. 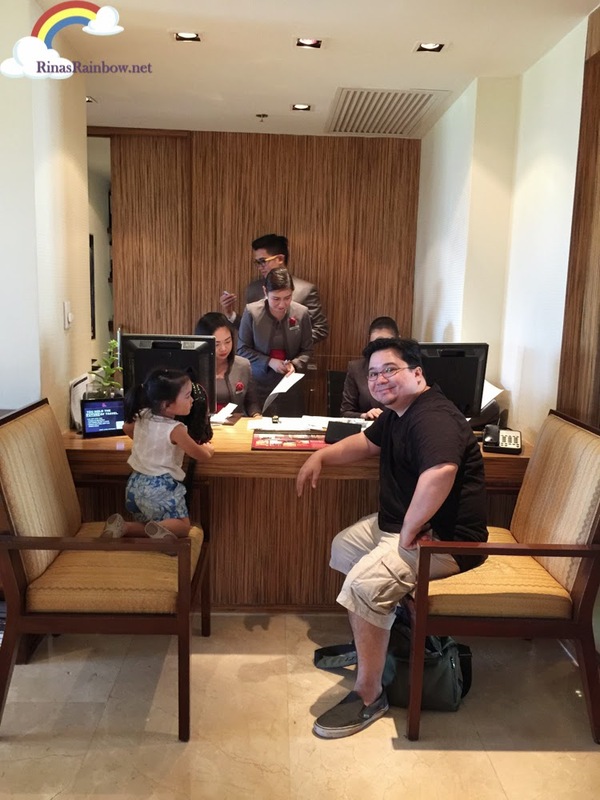 This was the first time I set foot inside this hotel and it was a memorable experience watching Rain be mesmerized with the huge gingerbread train and of course getting a treat from Santa Claus himself! 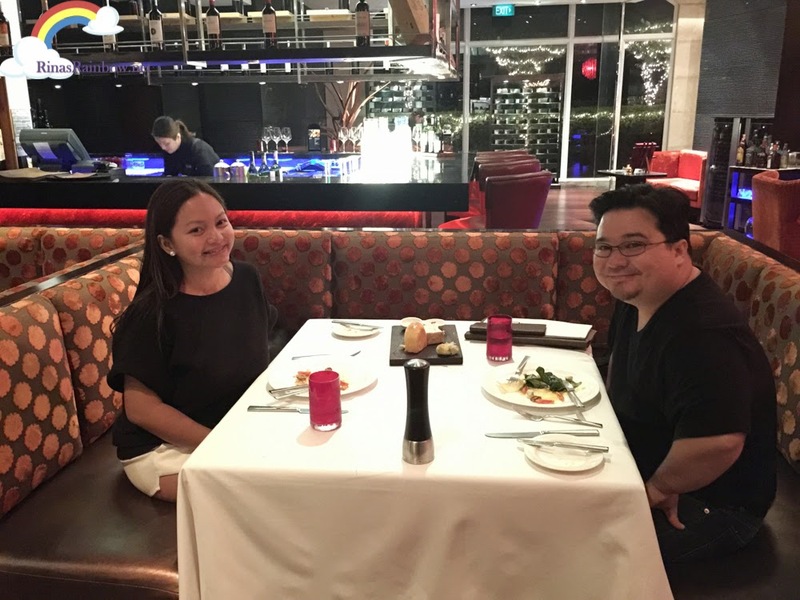 Fast forward to 2015,where it would again be another unforgettable moment for me as we experience an overnight stay and at the same time have a beautiful albeit delayed anniversary dinner! It was all so worth the wait! 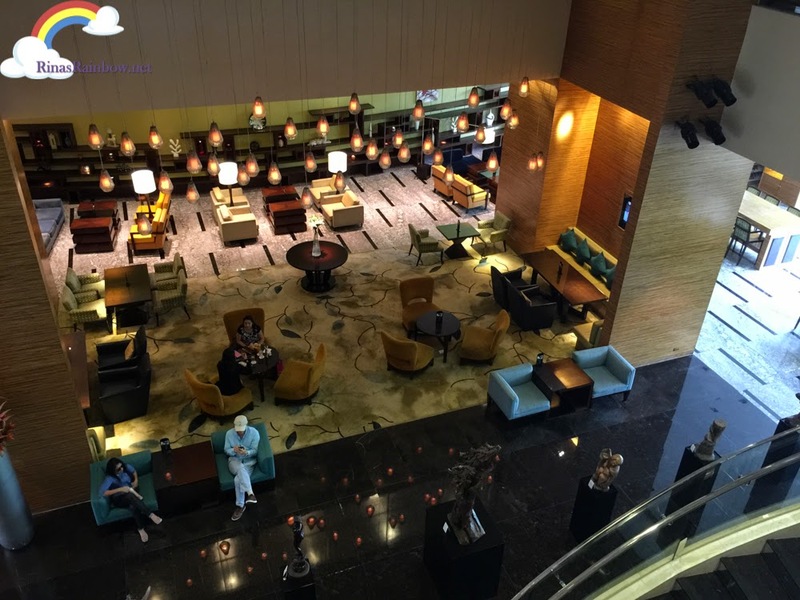 First, a quick tour around the beautiful Marriott Hotel. From the outside to the inside, you can see and feel that world-class quality. 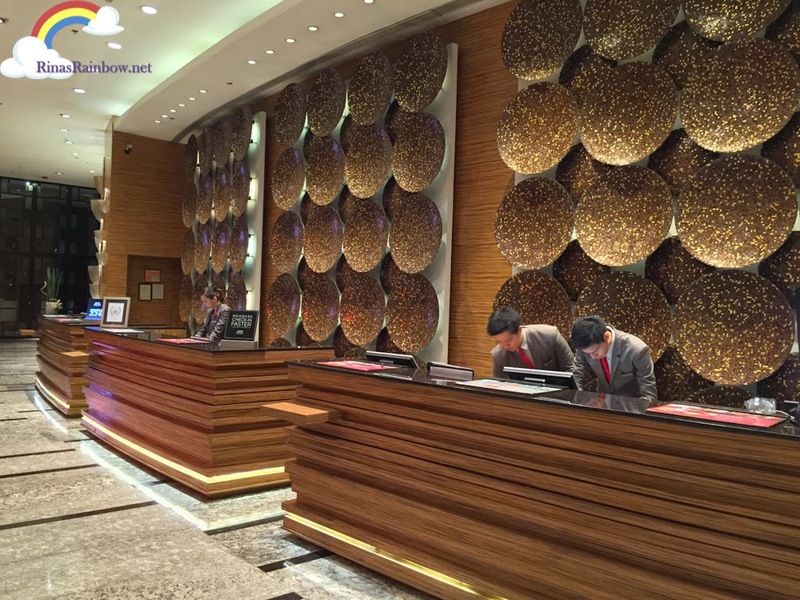 All the staff were very accommodating with all smiles as soon as you walk in. The reception is very spacious with clean lines and beautiful wall decors. Lots of comfortable areas to sit on. Perfect for businessmen to hold short but sweet meetings. Or for families and friends to just lounge around and have a drink. Rain: "Reservation under Rain Zamora please. Non-smoking room. Thank you." 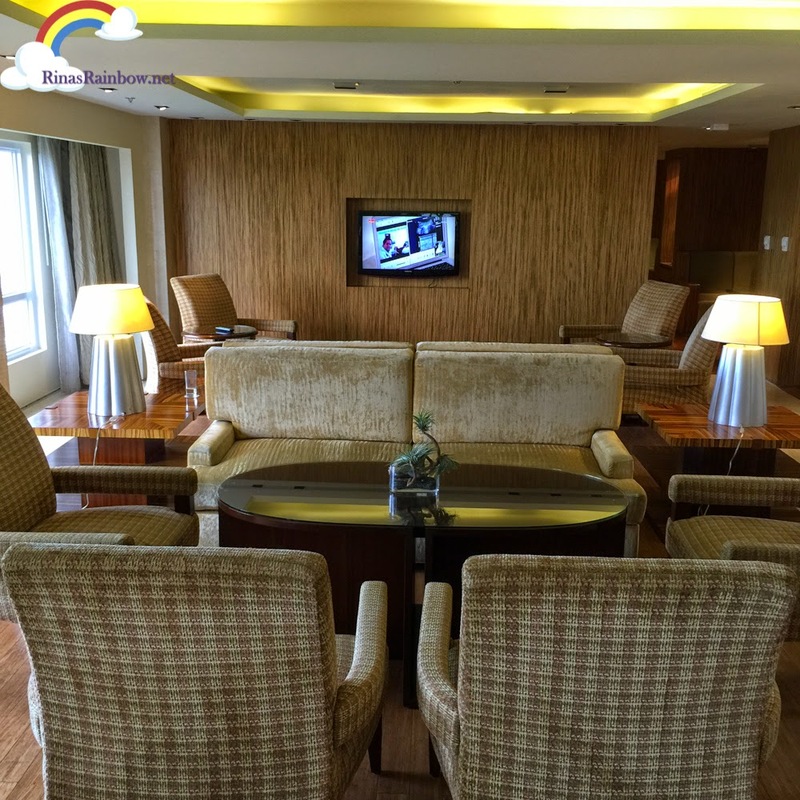 Tip: If you're checking in in an Executive Suite room, you can actually head on to the 8th floor at the Executive Lounge and check in there. No lines! :-) Here's Rain checking in for us. This is the Executive Lounge. It has a really homey feel with lots of comfortable couches where you can just lounge around all day and watch some telly. Or read a book, or maybe bring your laptop up to get some work done. 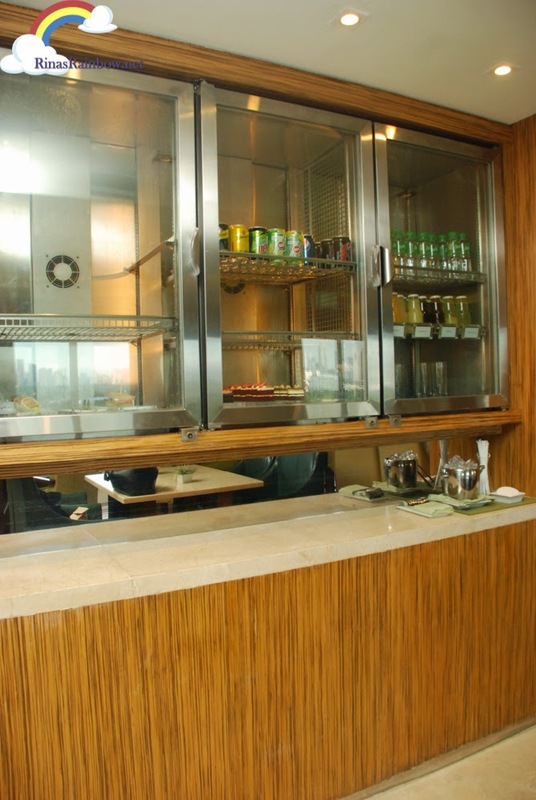 And of course being an executive lounge,refreshments are freely available in these glass chillers. 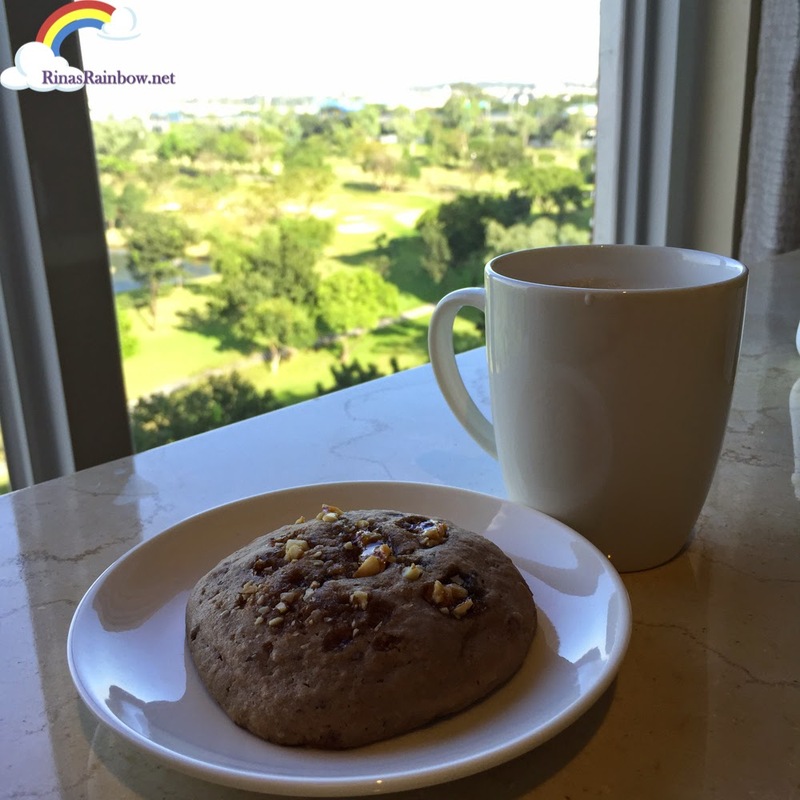 A spectacular view is available as well as you relax with your snack and coffee. The room has a good 40 sq meter size. Just the right space and room for all your stuff, and my little toddler has space to play and do things that toddlers do. 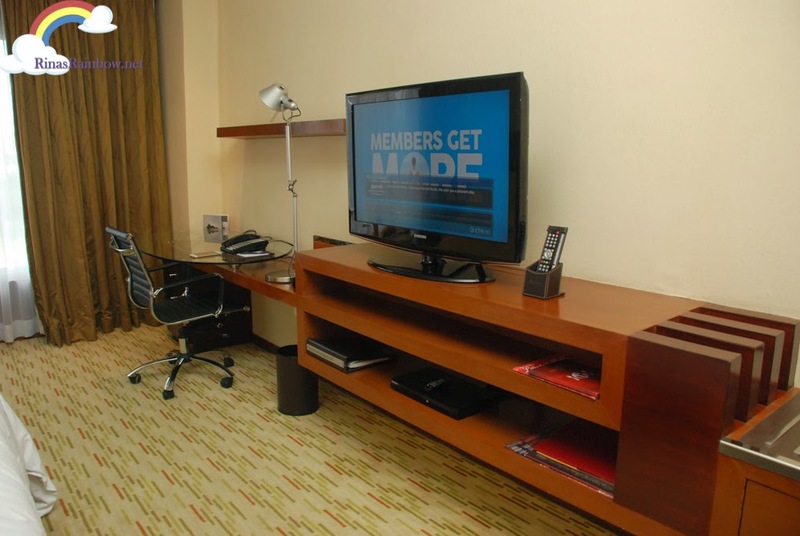 There's a work station, with convenient cords and cable connections for your laptop and your portable media players as well. Cool! 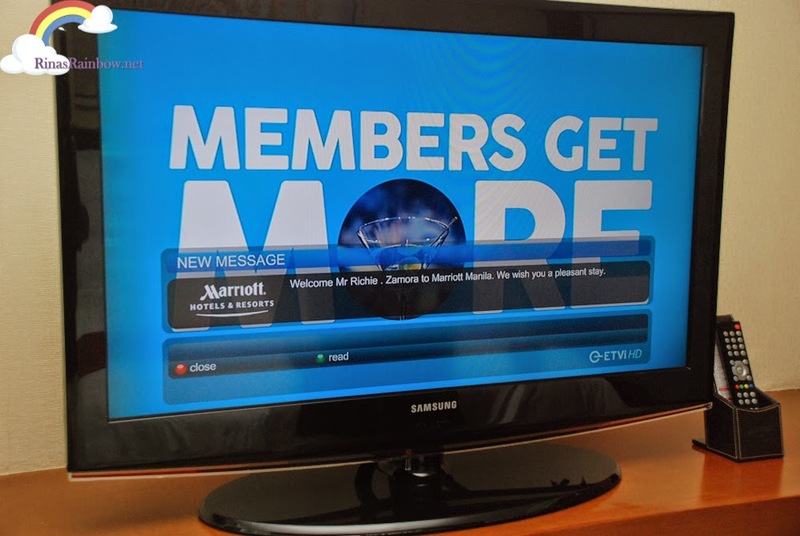 The TV greeting us with a warm welcome message! 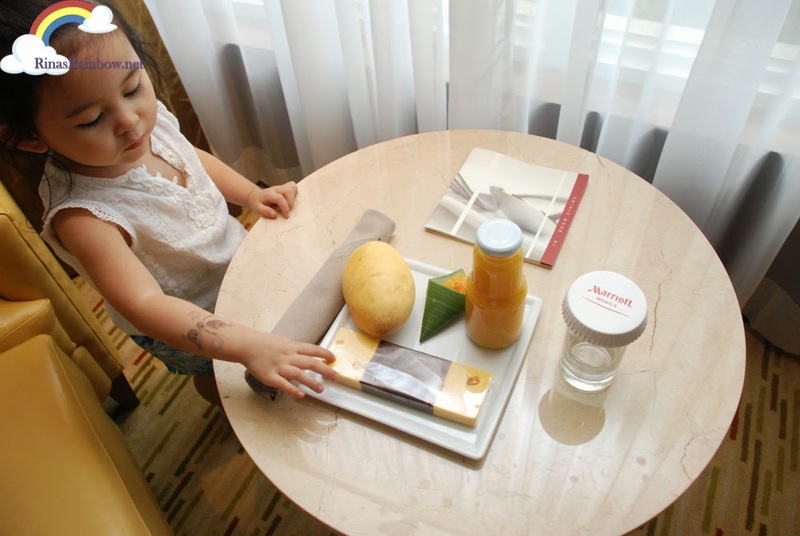 There was also a welcome snack platter waiting in the room contained with all things mango! And as I expected, Rain really loved them. She loves mangoes. 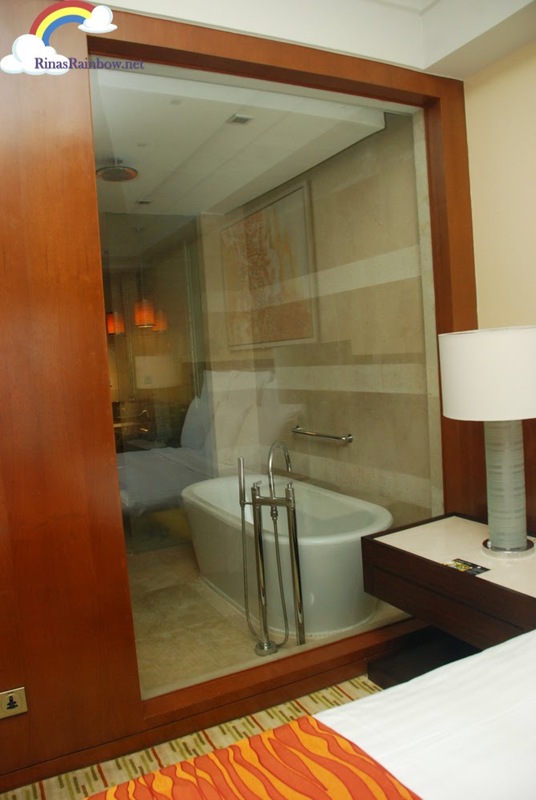 There's a ceiling-to-floor glass window in the bathroom. This is very helpful for parents like me who has a little girl who refuses to leave the bathtub for a long time. I can freely go to the room for a bit to check my phone or whatever and I can still keep an eye on her in the bathtub to make sure she's okay. Marriott Hotel toiletries (with bath salts!) 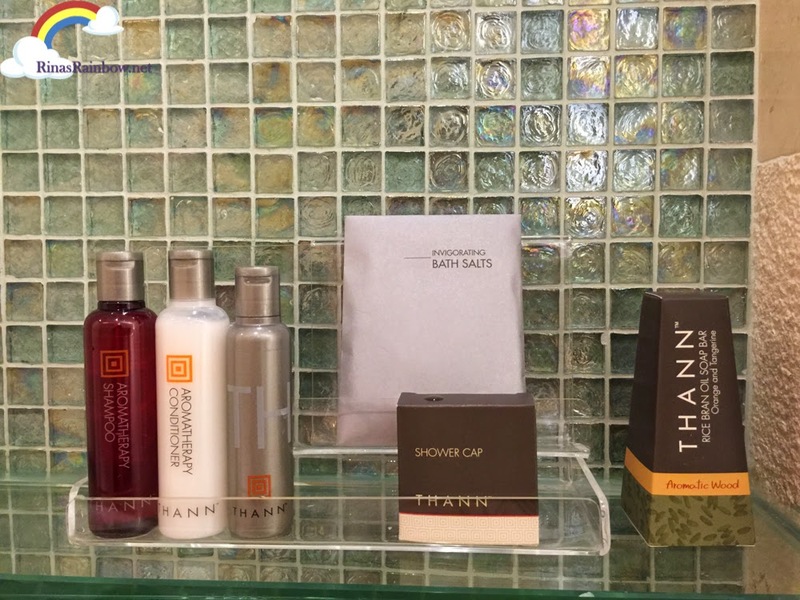 are supplied by Thann, a company that uses only natural ingredients, "combining the art of natural therapy with modern dermatological science." 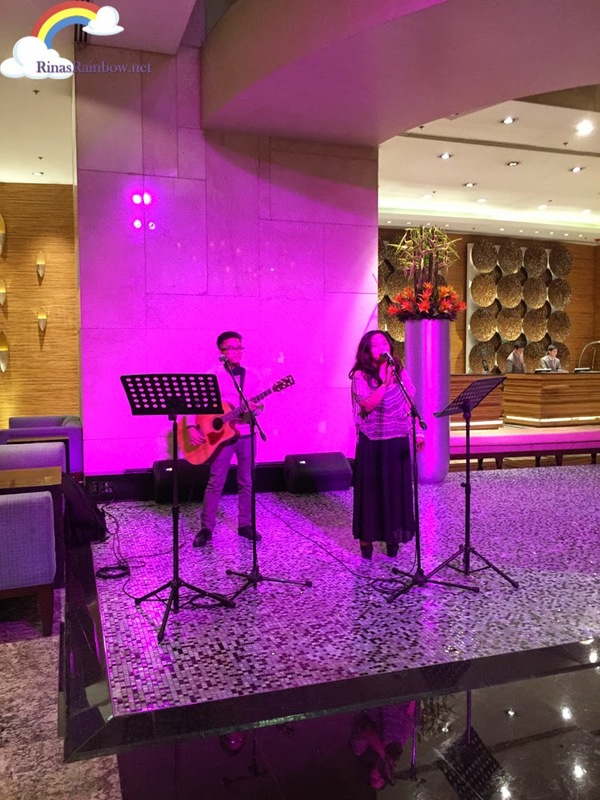 At night, the Marriott Lobby, which becomes The Great Room at night, becomes a relaxing lounge where guests can chill and have a drink or two while listening to some relaxing music from a live acoustic duo. 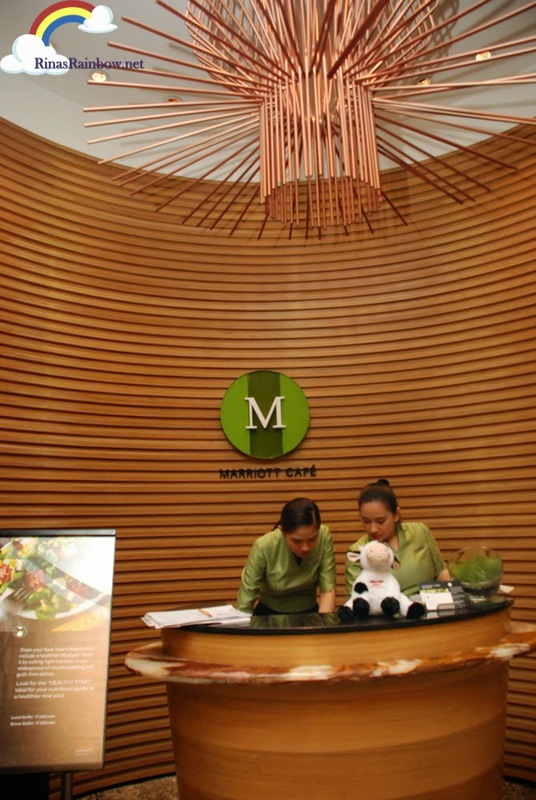 In the morning, you can have your most important meal of the day at Marriott Cafe located at the ground floor. So far, everyone I know who's been there really enjoyed their breakfast buffet. And we did too! 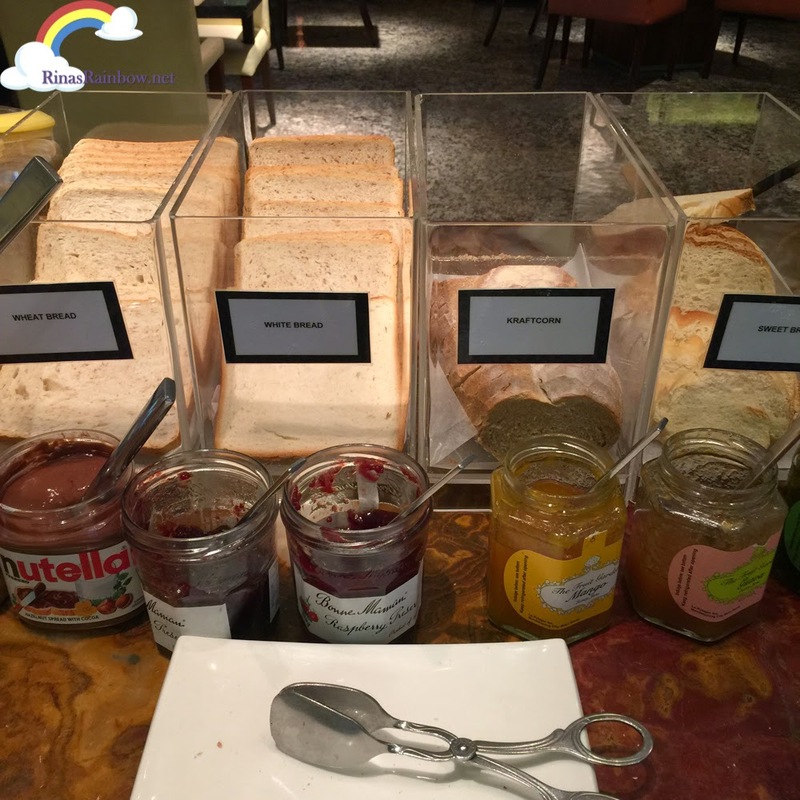 For one, I really enjoyed their toast section mainly because you get to have unlimited Nutella! They also have lots of delicious jams from The Fruit Garden and Bonne Mamman that you can spread on different types of bread. and this was my plate. Garlic rice, longanissa, tapa, and of course, bacon. Always bacon. 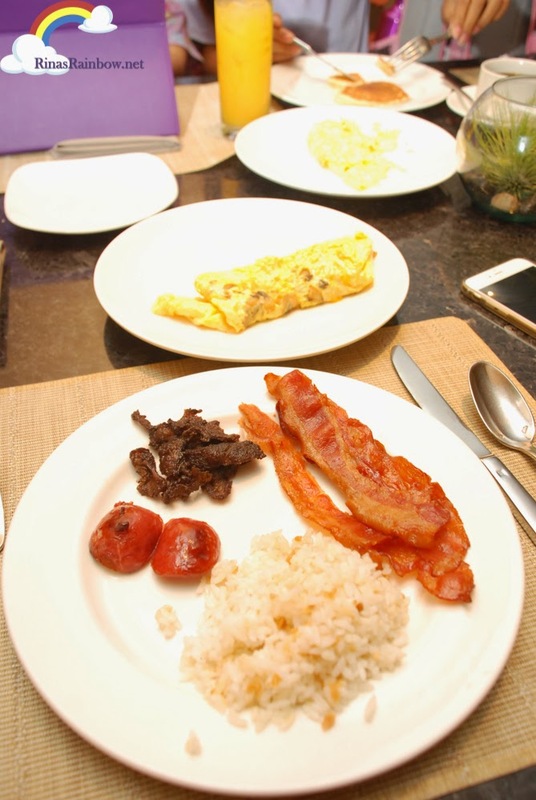 For more photos on their amazing buffet, head on over to The Pickiest Eater's post! Just beside the Marriott Cafe is the Eye Candy. 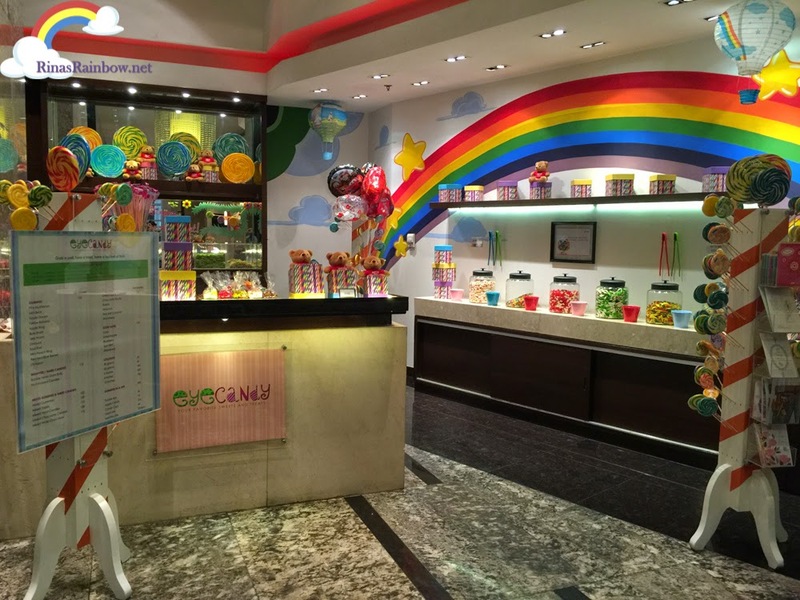 Marriott's cute little candy store! 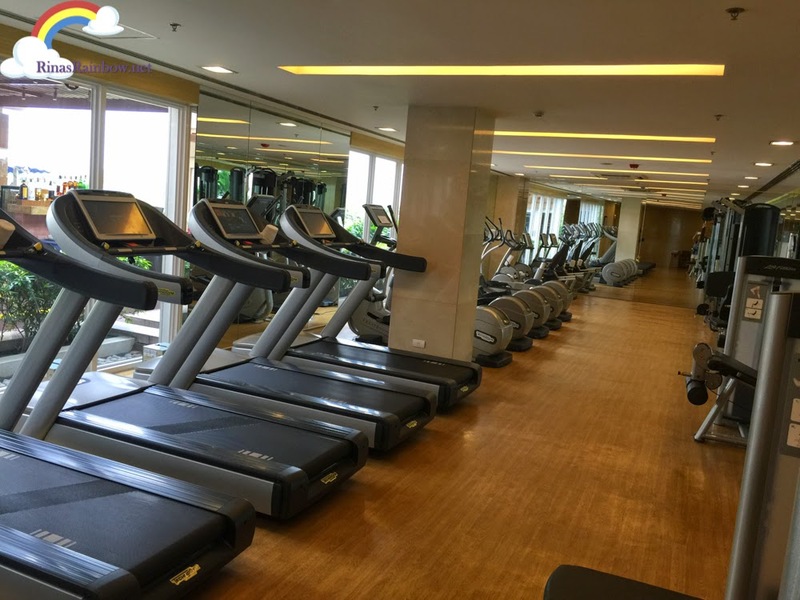 For gym goers, Marriott has a really nice well-equipped gym. One of the nicest ones I've seen. On the way to the pool area, you will pass by this area where you can purchase some swim wear in case you accidentally left yours. This is also the same area as the spa so you can also purchase here some spa skincare products made by Pevonia. Pevonia products are used for exclusive spas and used by professional Aestheticians. 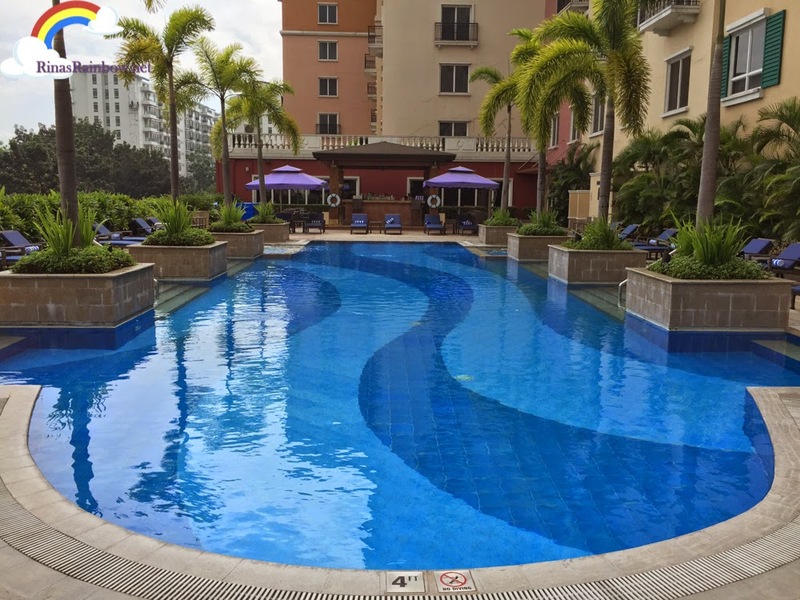 Here's the pool area. Nice, eh? The little enclosed pools on the side is perfect for children to stay in. And now... one of the highlights of my stay. 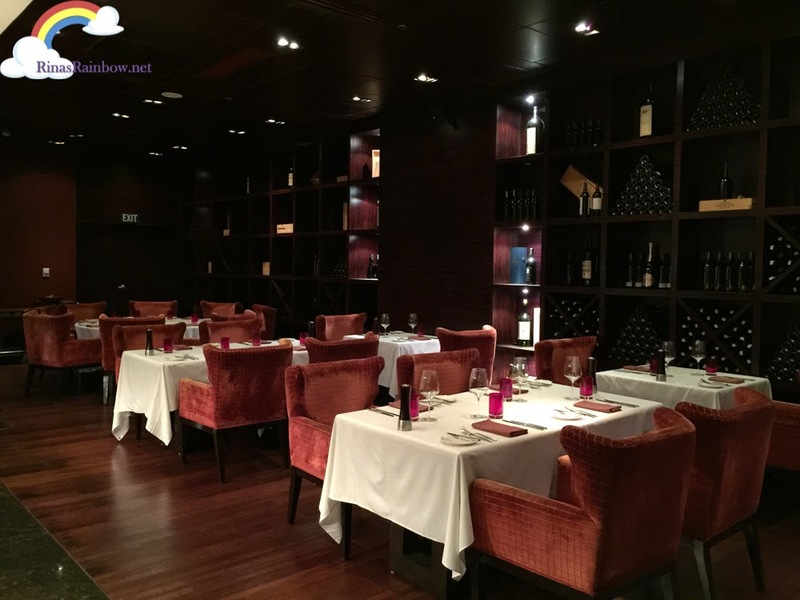 This is CRU Steakhouse. 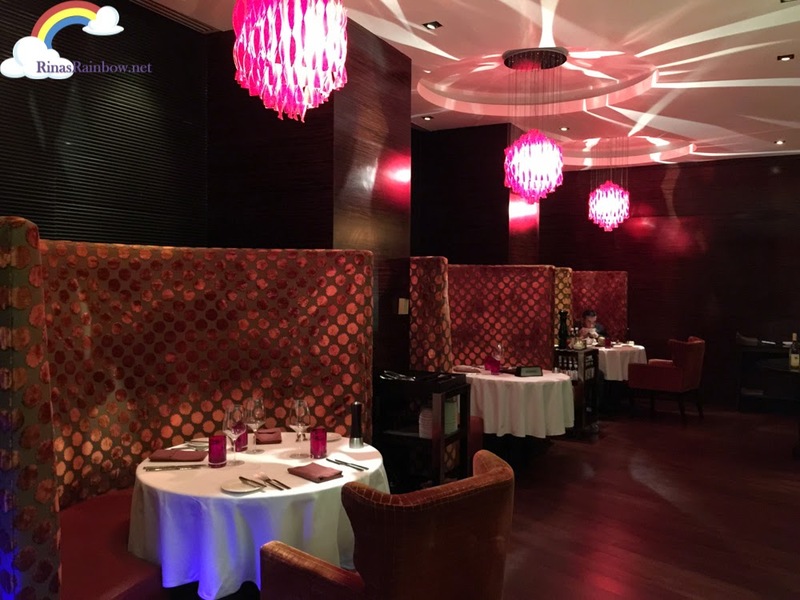 Upon walking inside and seeing the beautiful interiors with dimmed setting, you already know you're in for a special evening. It's really super classy! I felt like maybe Richie was going to propose to me again. Haha! CRU's pride and joy is proudly displayed in this glass chiller. 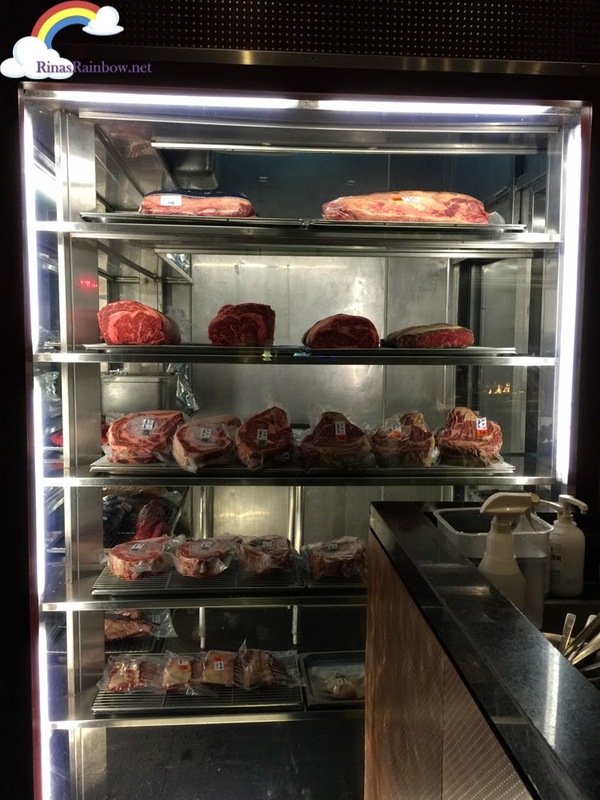 Look at those beautiful steaks! 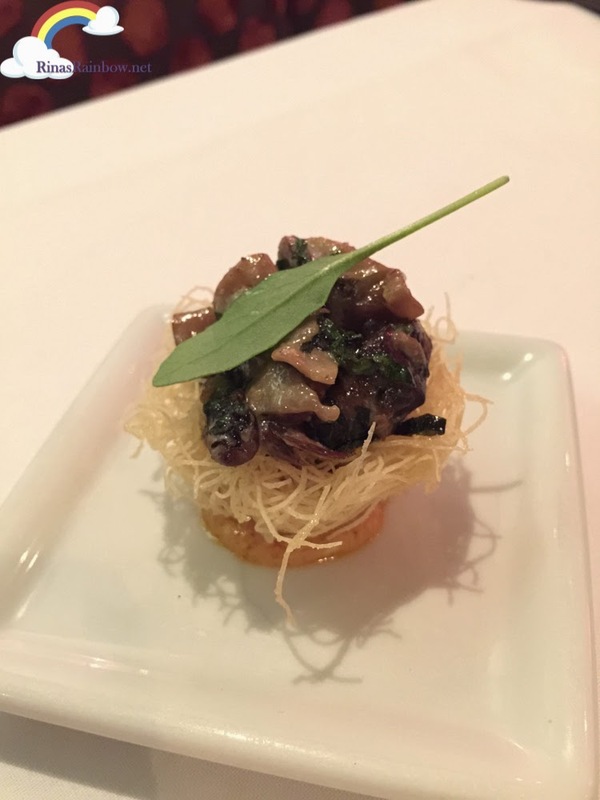 We had the three-course steak menu which started with this mushroom Amuse Bouche. I have to admit that at first I was a bit disappointed not because it didn't look beautiful. It did! But because I was hungry, I was worried that the food here was all going to be in small fancy pancy portions that I know will not satisfy my hunger at that moment. But I was proved wrong. Size does not matter as this amuse bouche was one of the best I've tasted! The mushroom was very tasty, with a mix of sweet and salty juicy taste in it, plus all the different texture going in in my mouth as I ate it was an added delight. I was happy to eat Richie's share. He's not big on mushrooms. Bodes well for me! 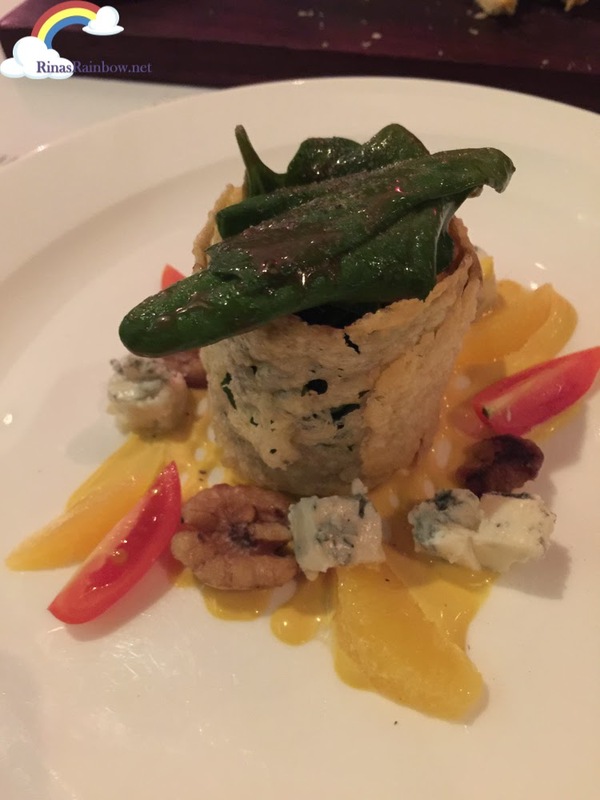 Next was the Baby Spinach Salad. See the crunchy looking wrap thingy? That's Parmesan crisp! The spinach had a vinaigrette dressing (I love vinaigrette dressings) and then mixed with some chunks of blue cheese (yum!!!) and more crunch from the candied walnuts. I really really love this dish! Then came the star of the night! 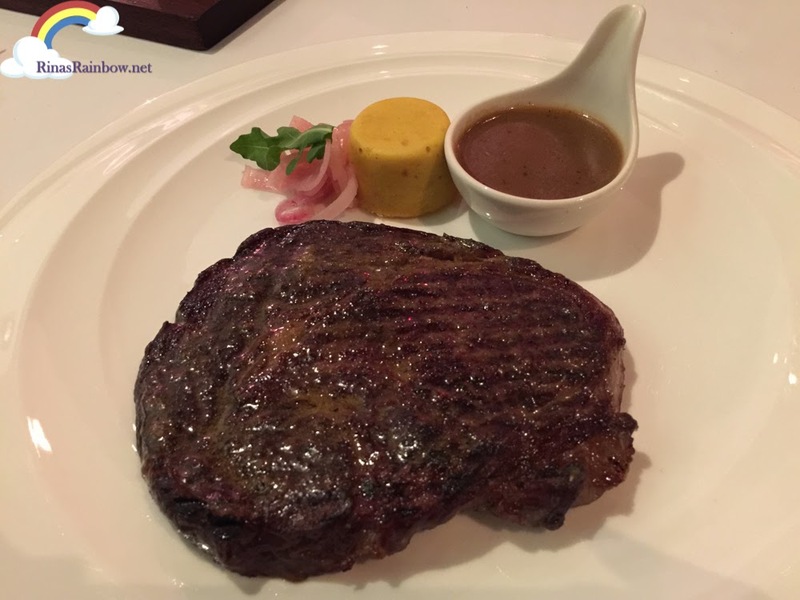 Behold the 250g Grilled Certified Angus Beef USDA Prime Rib Eye. For me it was huge! Very juicy, soft, seasoned perfectly! Even without the gravy it was really good. 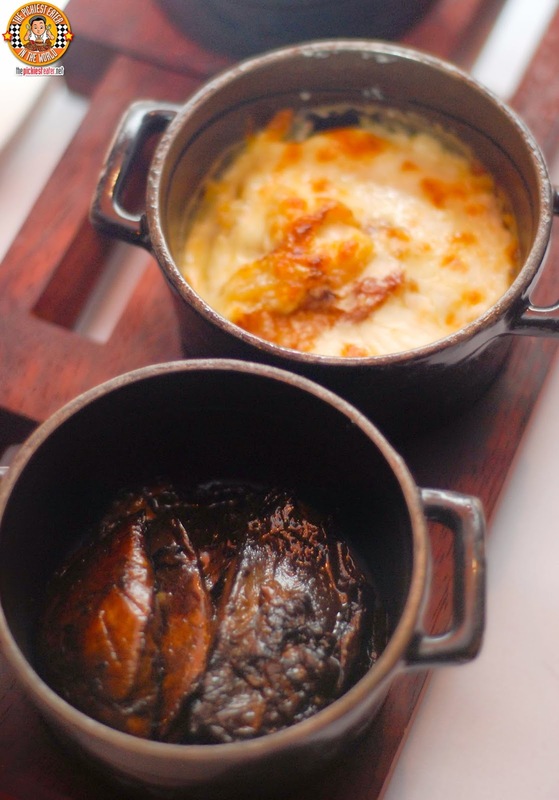 And the Gorgonzola & Corn pudding was also a real treat! By this time I was already so full! 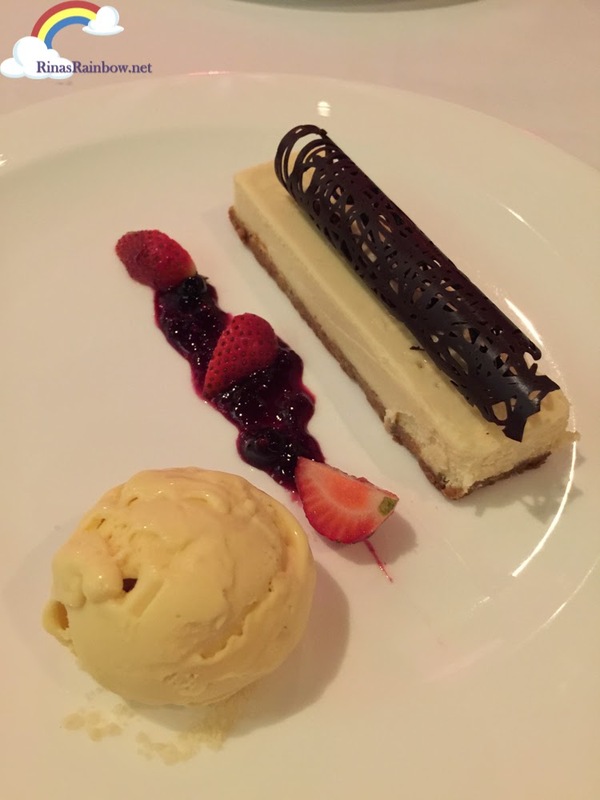 And for sweet endings, we had a really big serving of White Chocolate Cheesecake. Each! We were so full that we could have just shared one plate of dessert. 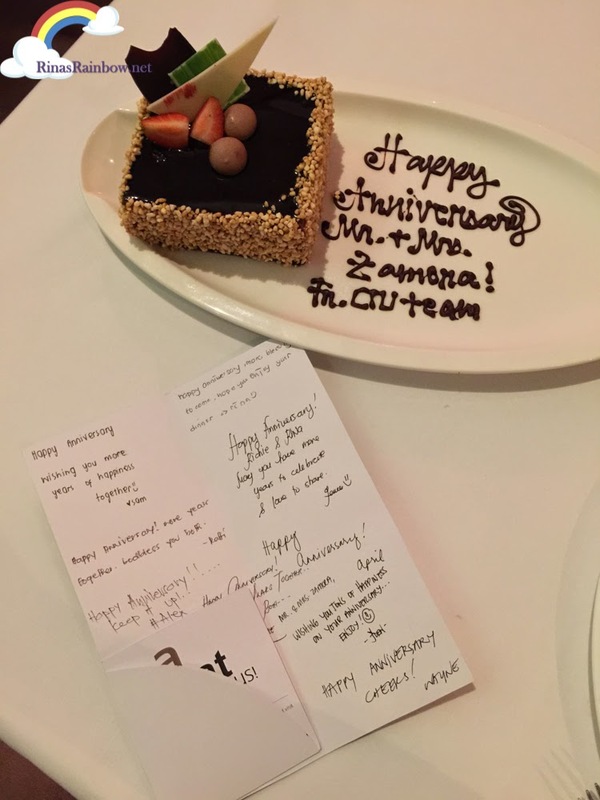 Unexpectedly, we had one more dessert which was a surprise from the CRU staff. It was really nice of them to take the time to even personally write their greeting in a card! So old school... so personal....I LOVE IT!!!! 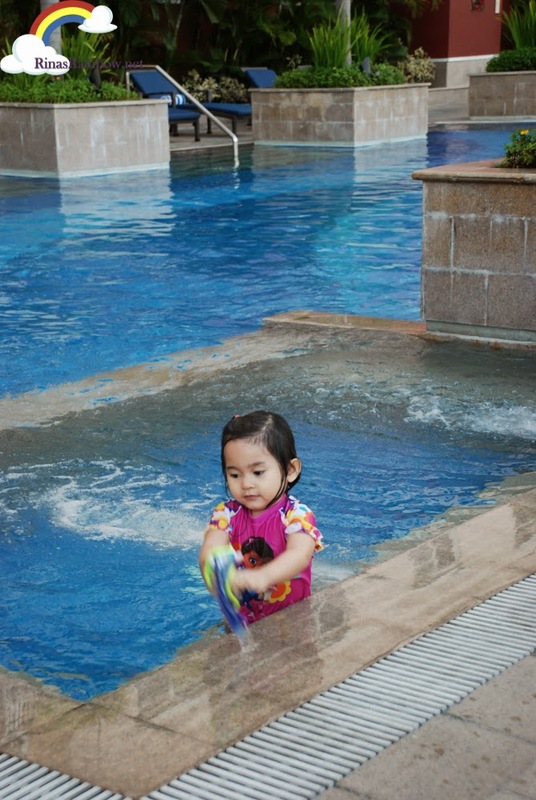 Obviously, we had a really great time in Marriott Hotel! 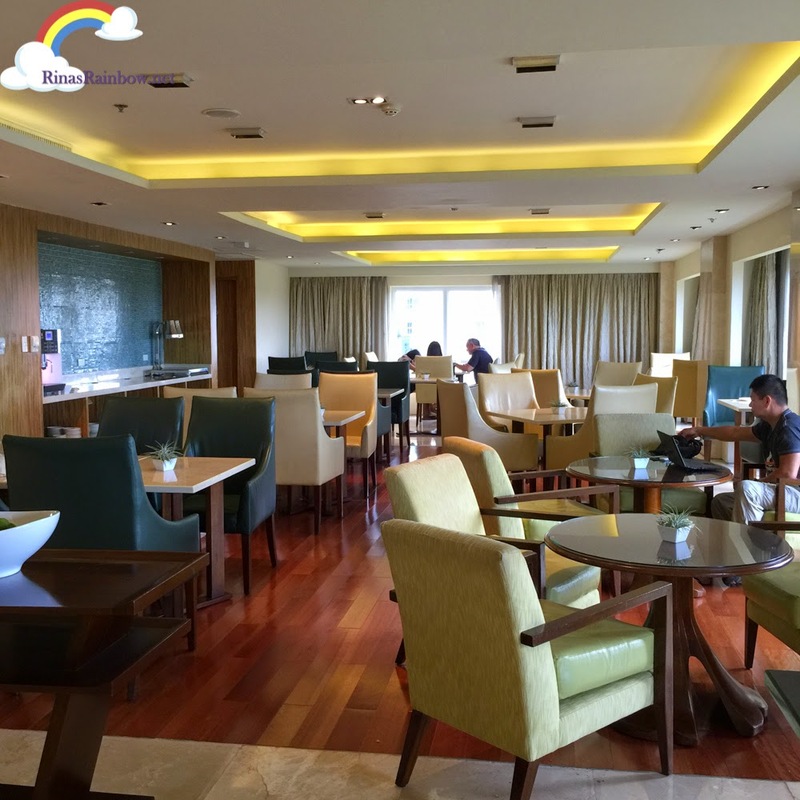 A classy hotel in a great location, near NAIA Terminal 3, and being in the heart of Resorts World, it's got a passage going to Resorts World Manila, therefore giving you access to tons of restaurants and stores! 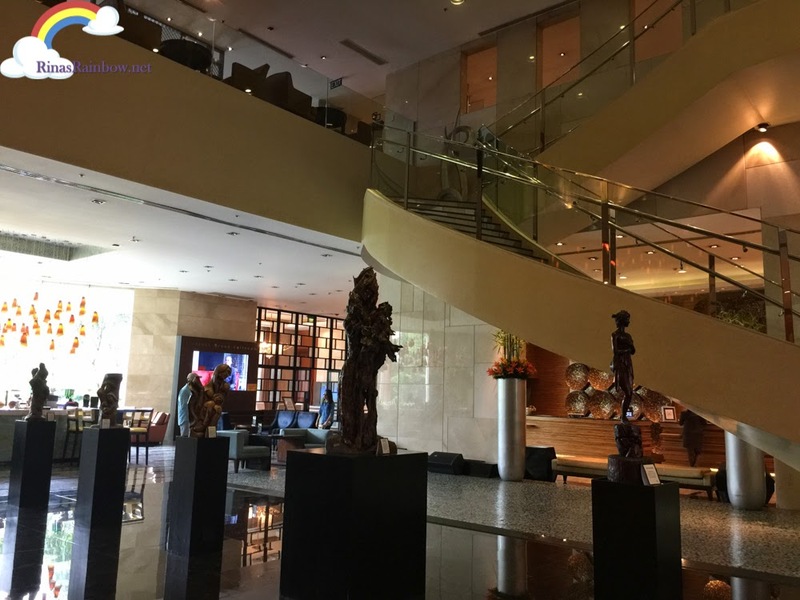 Thank you again and again Marriott Hotel for the wonderful stay! 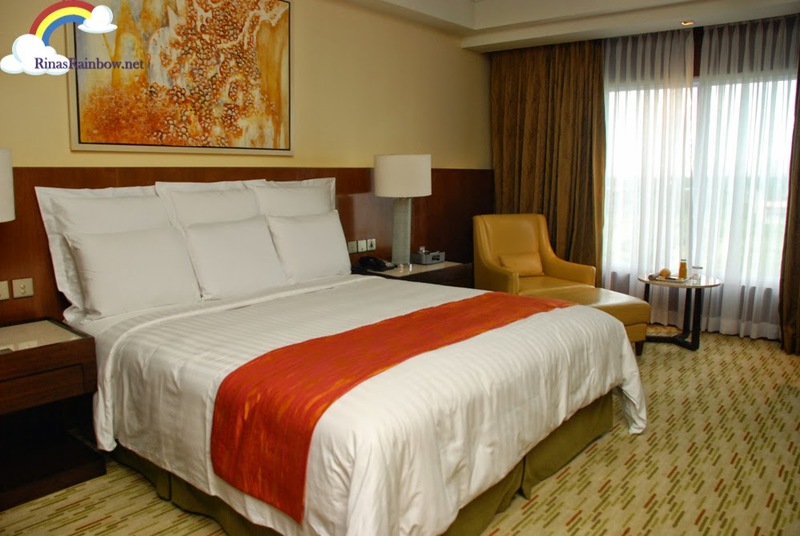 Marriott Hotel Manila is located at No 10 Newport Blvd, Newport City Complex, Pasay City, Manila. 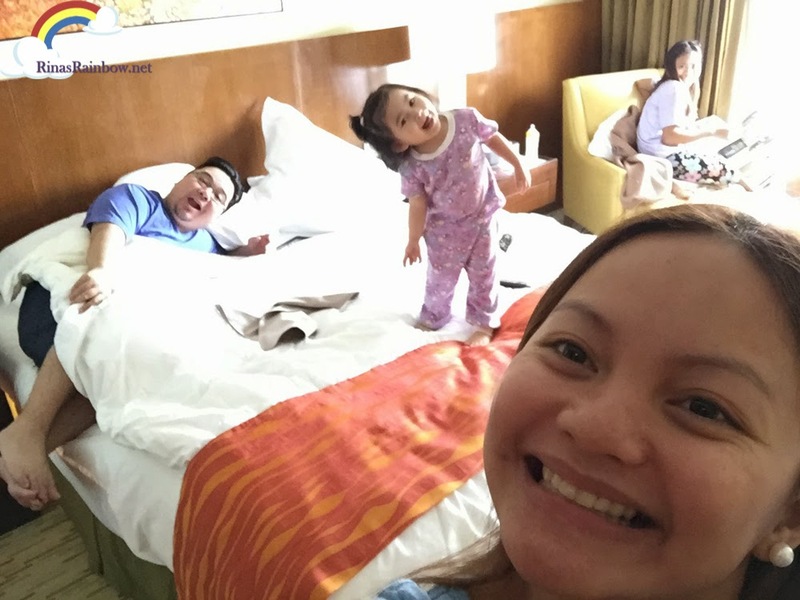 Follow them on Facebook as Marriott Hotel Manila! Try to find inside alternatives like for example get storage compartments & zips. fake chanel This may offer compartmentalizing regarding sets from components & makeup products through to Recognition and also bank cards. chanel replica sale Looking for a distinct sort of components to your carrier is a good method that can help to produce someone affirmation. chanel replica sale There are bag hand bags in the broad range regarding models as an example nylon, canvas, material cloth, buckskin and also suede. fake chanel Any crafted bag together with imaginative art flatters kinds very own proclamation. fake chanel Precious metal fabric allows any graphic to become great be noticeable! Have a look at any canvas cloth using a magnetic breeze clasp if you want with an specifically efficient and also hassle-free bag.